Hi guys, I'm back with another skincare review for you today! 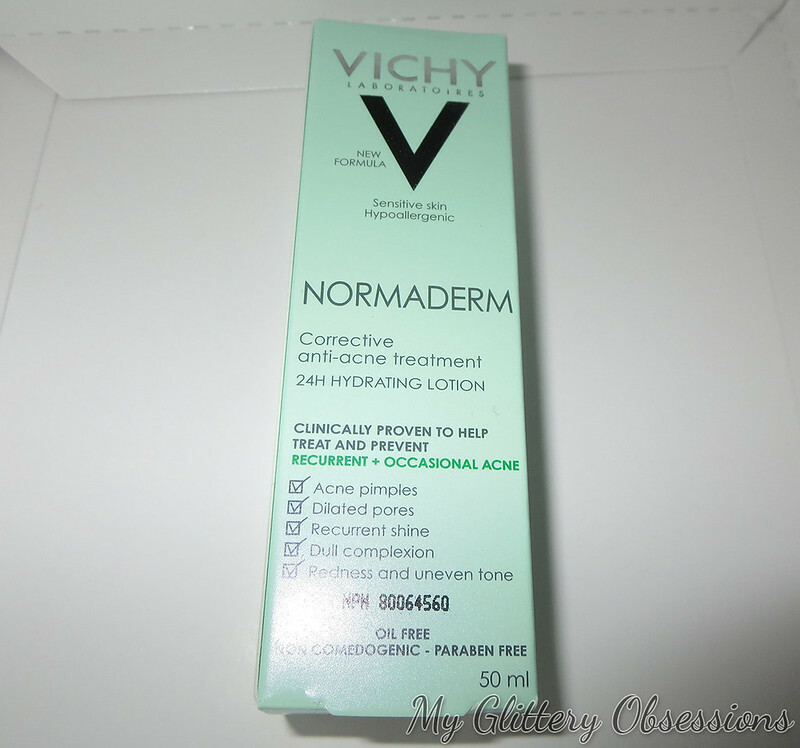 I was sent the Normaderm Skincare line from Vichy to test out and review for you. I was definitely looking forward to testing out this line because it is meant for acne-prone and sensitive skin types, which sounded right up my alley. I do get occasionally zits, especially on my chin and cheekbones, but a lot of products targeted at acne prone skin are far too harsh and drying, so I went into this hoping for a product that could clear up my problem spots wthout drying out the rest of my face! Although these products were sent for a review, this post isn't sponsored, and all of my opinions are honest and completely my own, as per usual! There are other products available under the Normaderm line, but these three are what they call the "Complete Normaderm Program." 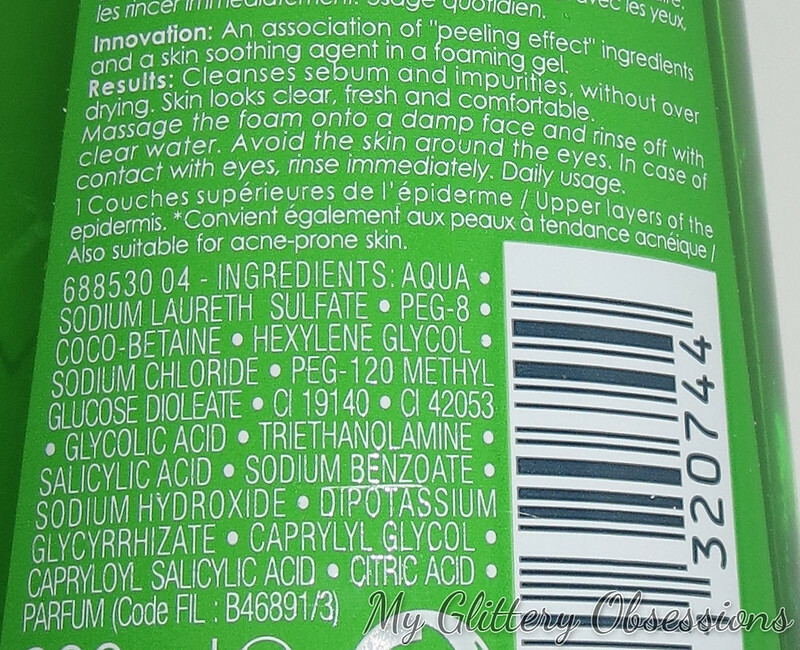 Also, Vichy products are paraben free and hypoallergenic, which is pretty great. Obviously our first step is cleanser! First I just want to point out what a gorgeous colour that bottle is! The product inside though is clear, don't worry, it isn't full of green dye. This cleanser claims to be soap and alcohol free, and to remove impurities and excess sebum without irritating or over-drying. It contains salicylic acid (to unclog pores), glycolic acid (anti-bacterial properties), and LHA (smoothes skin texture and promotes skin renewal), which makes it sound harsh, but I found it surprisingly gentle. Whether I use a small amount or a full pump (which is a lot of product! ), I never find this dries out my skin, or makes it feel tight after washing. It does have a delicate scent, nothing over the top. 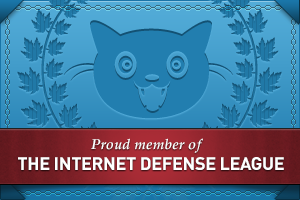 I don't think it would bug many people. I love that this cleanser makes my skin feel fresh and clean without feeling like my skin has suddenly shrunk over my face! I will certainly continue using this product in my everyday routine. 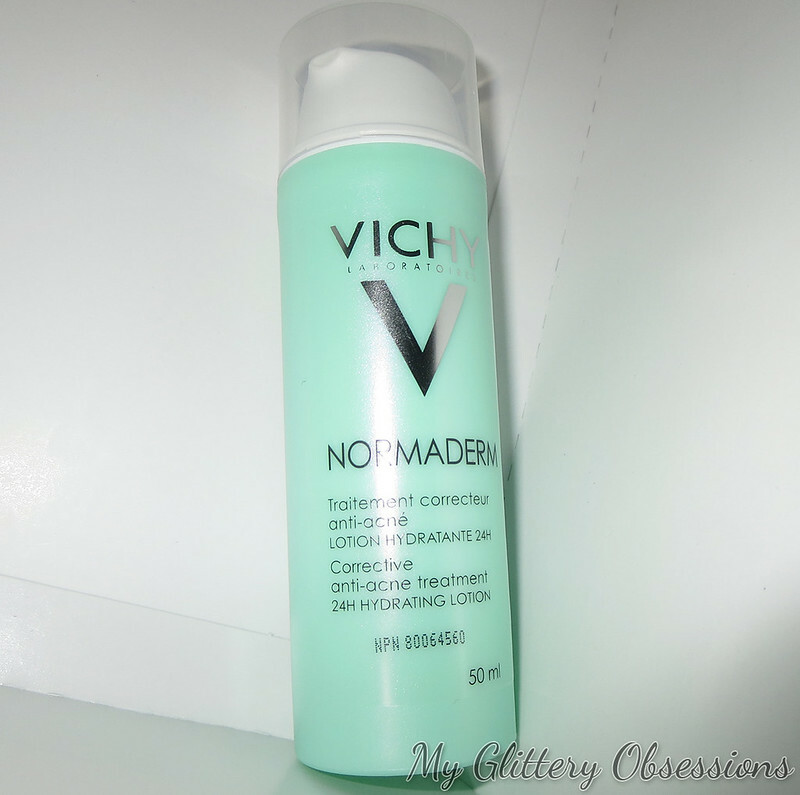 This cleanser retails for $19.95 on Vichy.ca. Step two is the toner. This toner is meant to tighten enlarged pores, mattify, and help reduce breakouts. 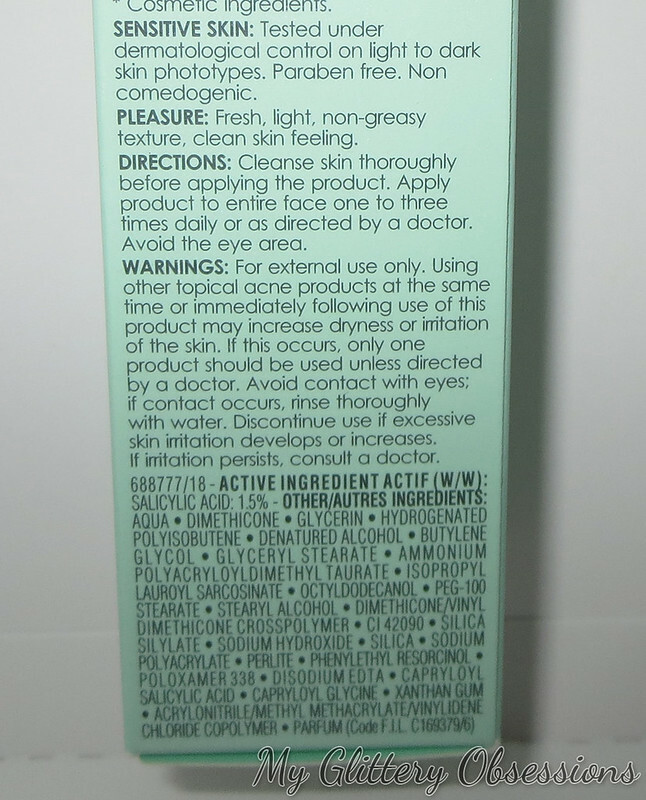 This product has the same three key ingredients as the cleanser: salicylic acid, glycolic acid, and LHA. It has a delicate scent, like the cleanser as well, but it seems much harsher at first sniff, which just makes sense for an astringent product like this. 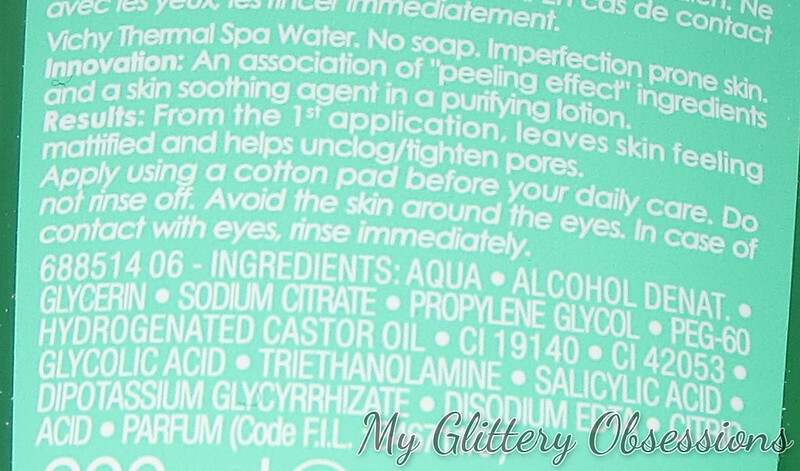 This toner does have alcohol in it, which can be a bit drying, as well. Personally, my skin found this toner to be a bit harsh following the cleanser, but it didn't burn like some other toners have done, so I feel like it is effective without being too much. That said, I don't use this on a regular basis, only when my skin is feeling quite oily, or if I have several breakouts to deal with. If you have particularly delicate skin, you may want to use this product only on the area right around any zits, instead of all over the face. Also, do not use this on your nose if you're sick and your nose has dried out! That did burn and it was not fun. 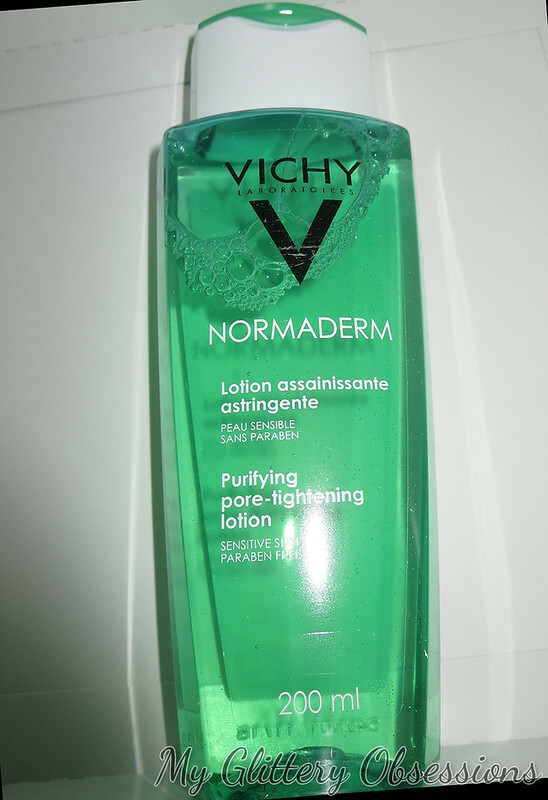 This product retails for $19.95 on Vichy.ca. 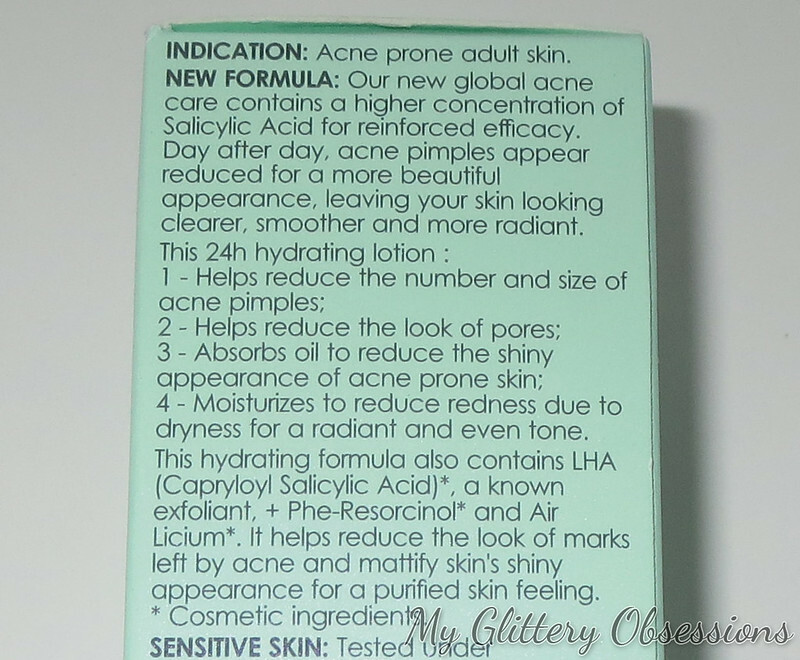 This product again claims to reduce acne, pore visibility, and to mattify skin. 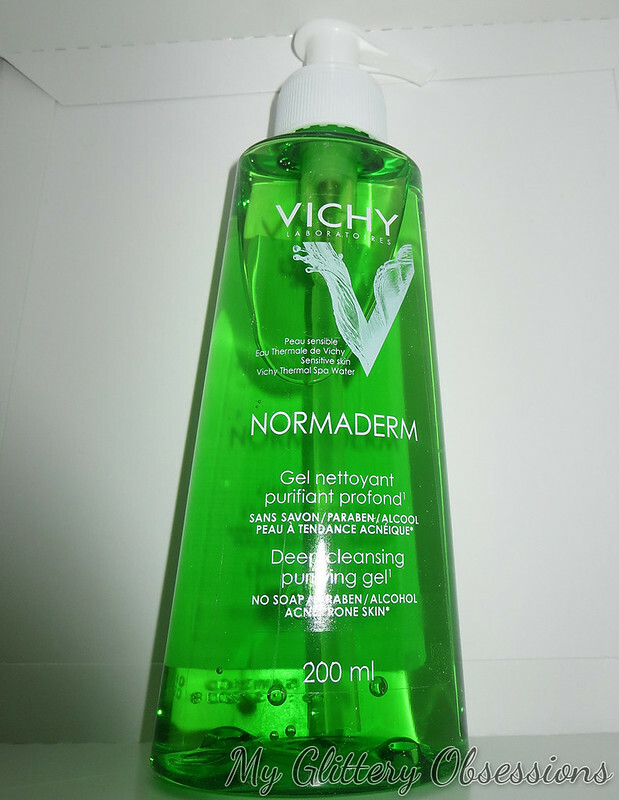 Alongside salicylic acid and LHA—which Vichy claims help to unclog skin without irritating—this product also contains phe resorcinol (depigmenting properties when combined with LHA) and "Air Licium™ technology" (Vichy describes it like this: "Ultra-light aerogel helps reduce sebum production and pore visibility, giving the skin a soft focus mattifying finish"). When paired with the other two products, I did find that this product burned a little on my skin. I think three products in a row with the same anti-acne treatments is a little much for me. When I have used this moisturizer paired with a different cleanser and toner—or even just with micellar water in place of the toner—it hasn't caused the same burning on my skin, and I have quite liked it. To conclude, I was pretty happy with this range, though they did seem to work better for me separated a bit, and not used one after the other. My least favourite step is the Normaderm toner, as I found it a little harsh. I may continue to use it from time to time on particularly bad skin days or on particularly bad blemishes, but it won't be a part of my daily routine. The moisturizer and cleanser are far kinder to my skin. I think the moisturizer makes a good day-lotion and base for makeup, especially, and I like to use something without salicylic acid more at night, and the cleanser is a great everyday cleanser in my opinion, as it is both clarifying and gentle. 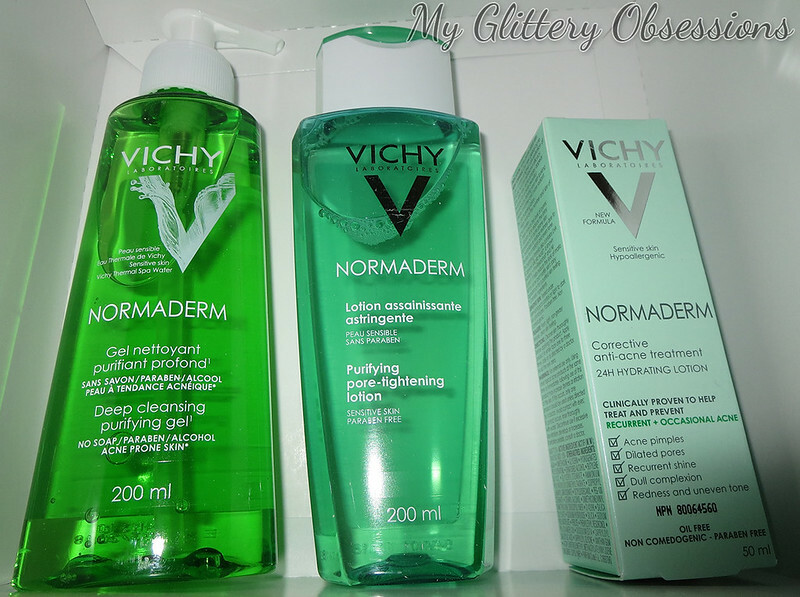 If you are interested in picking up all three of these products at the same time, Vichy.ca sells them in a bundle for 25% off, which is $52.38... nearly $18 off the regular price. Let me know what your favourite anti-acne product or skincare system is. Or if you've tried this one, what did you think of it? 5 Reasons Why Vans Slip-Ons are the Best Shoes!